This is the thirty-sixth installment of my classic actress beauty tips that I have read about and tested. 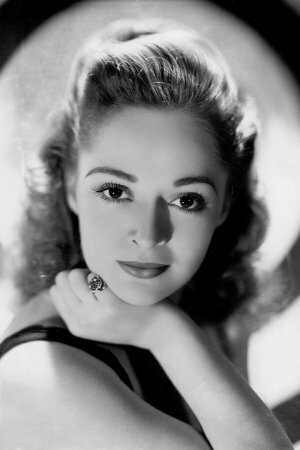 Syndicated beauty columnist Lydia Lane interviewed actresses from 1938 to 1980. Along with sharing the beauty secrets of actresses like Greer Garson, Jan Sterling and Anne Baxter, Lane also took questions from her readers. Oatmeal naturally contains cleansing features, particularly good for sensitive skin, that reduces redness and inflammation. It’s used as an addition to a beauty regiment, not a substitute, according to “Natural Beauty at Home” by Janice Cox. Actress, singer Mary Healy acted in the late 1930s through the early 1960s, but she wasn’t in many “A-list” films. The most notable is “The 5,000 Fingers of Dr. T” (1953), based off the Dr. Seus book. She was most notable for her comedy team with her acting husband Peter Lind Hayes. The two starred on “Peter Loves Mary” (1960-61), the “Peter Lind Hayes Show,” variety shows and radio shows in the 1940s. Hayes and Healy were married from 1940 until his death in 1998. Healy passed away in Feb. 2015. Boy was I wrong. There was no “spreading” when it came to this oatmeal mask. I was caking breakfast food on my face ended up being a difficult mess that left me looking like I came straight from Davey Jones locker, with barnacles growing on my face like a Universal sci-fi monster. In search of the perfect oatmeal to water ratio, and it seems one doesn’t exist that makes it easily spreadable. I sought out other oatmeal mask recipes on various beauty websites and home beauty ritual books. Most oatmeal mask recipes include other ingredients such as honey, yogurt, olive oil or milk. However, I wanted to stick to water and dry oatmeal as Miss Healy did. First I tried uncooked instant oatmeal. This was no good. I added too much water and it added up too soupy, regardless of how I tried to remedy it. I was even squeezing water out of the oatmeal to no avail. Next I read using cooked oatmeal was the way to go. But again, the water to oatmeal ratio was never quite right. It was either too runny and it dripped right off my face or it was so sticky that it stuck to my hands more than my face. The best mixture was 1/2 water and 1/4 oatmeal, but that was still much to thick and sticky to spread as easily as Miss Healy describes. I also tried using the cooked oatmeal as a scrub rather than a mask. This worked quite well. I had been experiencing some peeling that day and it was fixed by this. Finally it occurred to that I hadn’t actually tried followed Mary Healy’s instructions except when I tried using instant oatmeal. I filled a bowl with dry, uncooked oatmeal and slowly added water until the oatmeal was merely damp and paste-like. Once I finally did this correctly, this was the best mixture. But regardless of the mixture, this is not an easy thing to spread on your face. You end up clumping lukewarm oatmeal on your face, with bits follow back into your hand,on your sink or on the floor with your cat looking quizzically at you and trying to eat it. Or that’s at least what my cat Tallulah did. Needless to say, it’s a big mess. To review: While the scrub and masks would leave my face feeling soft, I did not see any other major change. I had several blemishes at the time of use, and this did not seem to help with redness or inflammation as others said. But regardless of any skin improvements, this is really too much of a frustrating mess to incorporate into a beauty regiment. This entry was posted in Beauty Tips and tagged actress beauty tips, Mary Healy, oatmeal mask, Peter Lind Hayes by Jnpickens. Bookmark the permalink.